I attained a B.Sc. degree in Zoology-Chemistry Department, Faculty of Science, Cairo University, Beni-Suef branch, Egypt in 2000. Then, I obtained a M.Sc. degree in Cell Biology and Histology Division, Zoology Department, Faculty of Science, Cairo University, Beni-Suef branch, Egypt in 2005. I subsequently obtained a PhD degree in Embryology and Comparative Anatomy Division, Zoology Department, Faculty of Science, Beni-Suef University, Egypt in 2009. Then, I obtained the Associate Professor in Experimental Embryology and Fertility in Zoology Department, Faculty of Science, Beni-Suef University, Egypt in 2014. I am a member of a number of eminent societies, organizations & schools including the European Society of Endocrinology, the European Neuroendocrine Association, the New York Academy of Science, the Society for Endocrinology, the Society of Neuroscientists of Africa, the American Physiological Society, the European Center for Research Training & Development, the 21stIBRO (International Brain Research Organization) Africa Schools course, the Egyptian Society of Experimental Biology and the Egyptian Society of natural toxins. 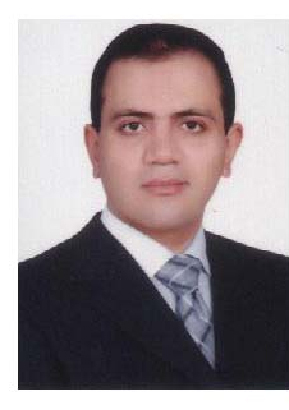 In addition to my role as the Associate editor on Beni-Suef University Journal of Applied Science (BUJAS, ISSN: 2090-8210), I also regularly review articles submitted to Journal of PLOS ONE, Endocrinology, Expert Review of Endocrinology and Metabolism, Endocrine (International Journal of Basic and Clinical Endocrinology), Apoptosis, Food and Chemical Toxicology, Diabetes and Its Complications, Research and Reports in Endocrine Disorder, Diabetes Care, Anatomia, Histologia, Embryologia, immunology, endocrine and metabolic agents in medicinal chemistry, Interferon, Cytokine and mediator Research, Ecology and Natural Environment, Annals of Thyroid Research, Open Access Animal Physiology, Diabetes, Metabolic Syndrome and Obesity: Targets and Therapy, and Advances in Life Sciences and Health. Also, I have an honor from Society for Endocrinology in project of You and Your hormones. Generally, I am supervisor on several theses and lecturer for several postgraduate courses and undergraduate courses. Perinatal and Placental/Pregnancy Researches: â— Developmental neuroendocrinology, developmental biology, evolutionary endocrinology, developmental physiology, developmental neuroscience, neurodevelopmental behavior (cognitive science) and molecular development. â— Study the mechanisms of endocrine disruptors and anti-thyroid drugs during the development of rats and chicken. â— Study the effect of perinatal halogenated aromatic hydrocarbons exposure on the developmental neuroendocrine and adipokines (fat metabolism) systems. â— Study the genomic and non-genomic actions of thyroid hormones on the cellular proliferations and differentiations. 1.) Ahmed, R.G., M. Abdel-Latif, Emad Mahdi, Khalid El-Nesr, 2015. Immune stimulation improves endocrine and neural fetal outcomes in a model of maternofetal thyrotoxicosis. International Immunopharmacology 29, 714–721. 2.) Ahmed, R.G., M. Abdel-Latif, Ahmed F., 2015.Protective effects of GM-CSF in Experimental Neonatal Hypothyroidism. International Immunopharmacology 29, 538–543. 3.) Osama M. Ahmed, Abdel-Baset M. Aref, Ahmed, R.G., Margit Semmler, Lobna A. Ali, 2015. Maternal rat diabetes mellitus deleteriously affects neonatal skeletal system Under submission. 4.) Ahmed, R.G., 2015. Maternal Iodine Deficiency and Brain Disorders. Under submission. 5.) Ahmed, R.G., A.W. El-Gareib, A.M. El-Bakry, A. Gaber, 2015.Pivotal Roles of maternal zinc supplementation in Experimental Hypothyroidism: Neonatal neuroendocrine System. In preparation. 6.) Ahmed, R.G., 2016.Neonatal Polychlorinated Biphenyls-Induced Endocrine Dysfunction. Annals Thyroid Res. 2(1), 34-35. 7.) Ahmed, R.G., 2015. Hypothyroidism and brain developmental players Thyroid Research J. 8(2), 1-12.DOI 10.1186/s13044-015-0013-7. 8.) Elena Candelotti, Paolo De Vito, R. G. Ahmed, Paolo Luly, Paul J. Davis, Jens Z. Pedersen, Hung-Yun Lin, Sandra Incerpi, 2015.Thyroid hormones crosstalk with growth factors: Old facts and new hypotheses.Immun., Endoc. & Metab. Agents in Med. Chem., 15, 71-85. 9.) Paolo De Vito, Elena Candelotti, R. G. Ahmed, Paolo Luly, Paul J. Davis, Sandra Incerpi, Jens Z. Pedersen, 2015.Role of Thyroid Hormones in Insulin Resistance and Diabetes.Immun., Endoc. & Metab. Agents in Med. Chem., 15, 86-93. 10.) Ahmed, R.G., 2015.Developmental adipokines and maternal obesity interactions. J. of Advances in Biology; 7(1), 1189-1206. 11.) Ahmed, R.G., 2015.Editorials and Commentary: Maternofetal thyroid action and brain development.J. of Advances in Biology; 7(1), 1207-1213. 12.) Ahmed, R.G., 2014.Editorial: Do PCBs modify the thyroid-adipokine axis during development?Annals Thyroid Res. 1(1), 11-12. 13.) Sandra Incerpi, Meng-Ti Hsieh, Hung-Yun Lin, Guei-Yun Cheng, Paolo De Vito, Anna Maria Fiore, R. G. Ahmed, Rosanna Salvia, Elena Candelotti, Stefano Leone, Paolo Luly, Jens Z. Pedersen, Faith B. Davis, Paul J. Davis, 2014. Thyroid hormone inhibition in L6 myoblasts of IGF-I-mediated glucose uptake and proliferation: new roles for integrin αvβ3.Am. J. Physiol. Cell Physiol. 307, C150–C161. doi:10.1152/ajpcell.00308.2013. 14.) R.G. Ahmed, A.W. El-Gareib, 2014.Lactating PTU exposure: I- Alters thyroid-neural axis in neonatal cerebellum.Eur. J. of Biol. and Medical Sci. Res. 2(1), 1-16. 15.) R.G. Ahmed, A.W. El-Gareib, S. Incerpi, 2014.Lactating PTU exposure: II- Alters thyroid-axis and prooxidant-antioxidant balance in neonatal cerebellum. Int. Res. J. of Natural Sciences 2(1), 1-20. 16.) R.G. Ahmed, 2013.Does lactating PTU deteriorate thyroid-Brain development in newborns? Abstract on the World Congress of Endocrinology- OMICS GROUP (Endocrinology-2013), North Carolina, USA. 17.) R.G. Ahmed, 2013.Early weaning PCB 95 exposure alters the neonatal endocrine system: thyroid adipokine dysfunction. Journal of Endocrinology 219(3), 205-215. DOI: 10.1530/JOE-13-0302. 18.) Stijn L.J. Van Herck, Stijn Geysens, Edward Bald, Grazyna Chwatko, Evelyne Delezie, Elham Dianati, R.G. Ahmed, Veerle M. Darras, 2013. Maternal transfer of methimazole and effects on thyroid hormone availability in embryonic tissues.Journal of Endocrinology 218, 105–115.DOI: 10.1530/JOE-13-0089. 19.) R. G. Ahmed, Paul J. Davis, Faith B. Davis, Paolo De Vito, Ricardo N. Farias, Paolo Luly, Jens Z. Pedersen, Sandra Incerpi, 2013.Nongenomic actions of thyroid hormones: from basic research to clinical applications. An update. Immunology, Endocrine & Metabolic Agents in Medicinal Chemistry, 13(1), 46-59. 20.) R. G. Ahmed, S. Incerpi, F. Ahmed, A. Gaber, 2013.The developmental and physiological interactions between free radicals and antioxidant defense system: Effect of environmental pollutants J. of Natural Sciences Res. 3(13), 74-110.